"Work sets you free" sign stolen: Dachau memorial robbed. Before and after shots of the site of the theft. 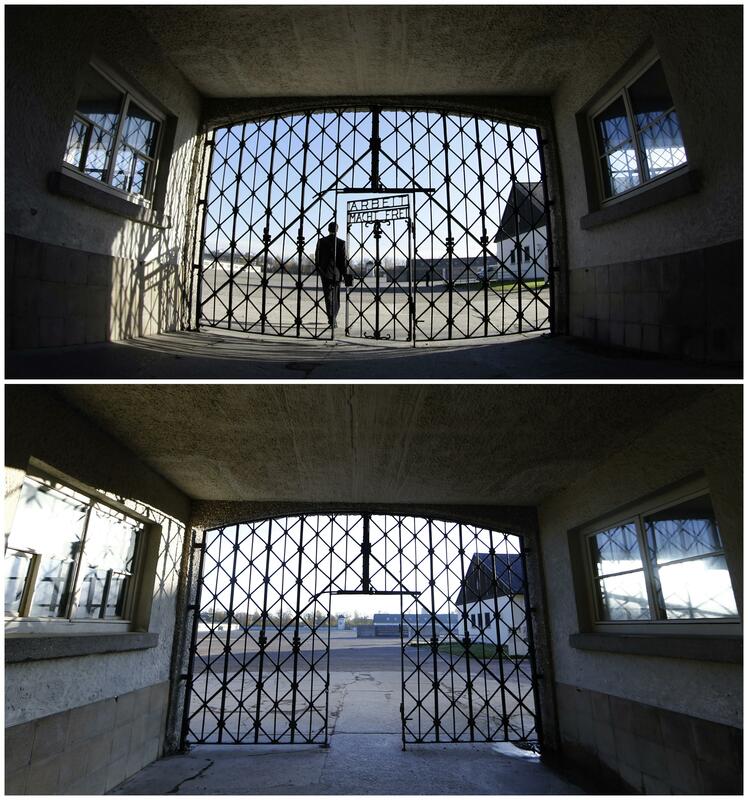 The theft of the gate at Dachau was discovered early Sunday by the private security service that keeps a 24-hour watch on the site, in addition to frequent patrols by the police. Records suggested the theft occurred between midnight and 5:30 a.m., officials said. The sign was apparently part of a metal door that was more than 6 feet long and around 225 pounds, so it’s believed that at least two thieves would have been required to carry it away. A similar sign at Auschwitz was stolen in 2009 by thieves contracted by a former neo-Nazi from Sweden whose motives remain unclear. The Auschwitz sign was recovered three days after the theft.